Strategically pricing a home for sale is one of the most important responsibilities of a real estate professional, particularly in a changing Bay Area market where buyer and seller expectations must be managed. As we reported in a recent analysis, some segments of Bay Area housing markets are slowing, and hence both buyer and seller expectations face challenges. Generally, sales across the region have slowed from last year in some or all price ranges. Nevertheless, an interesting trend has persisted in Alameda County, where despite the slowing market — particularly in the luxury segment — still a relatively large share of homes sell at a premium, or higher than list price. In other regions, the share of properties (both single-family homes and condominiums) selling at a premium has fallen and typically saw at least a 3 percentage point drop in the share of homes that sold at a premium. For example, as Figure 1 below illustrates, only Alameda County showed a notable increase in the share of homes selling at a premium in the luxury segment but also an increase of 2 percentage points in the $1-to-$3 million price range. Furthermore, Alameda County still has one of the highest shares of listings selling at a premium overall. Figure 2 shows the percent of Bay Area listings sold in July that closed at a premium; in Alameda County, more than 73 percent of properties on average sold at a premium. Only San Mateo County had a slightly higher share of properties selling at a premium — about 75 percent on average. 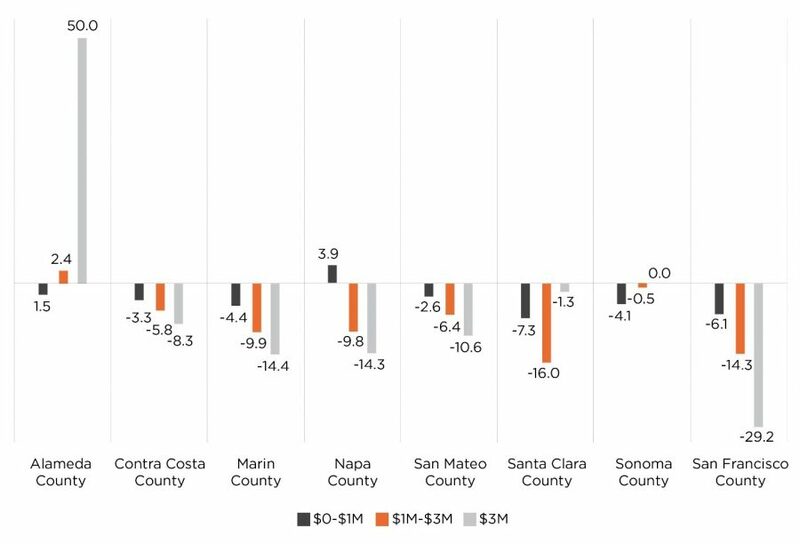 To better understand Alameda County dynamics, we further broke down the statistics by five major cities: Alameda, Berkeley, Emeryville, Oakland, and Piedmont. Chart 3 summarizes the share of listings selling above the asking price in those cities. 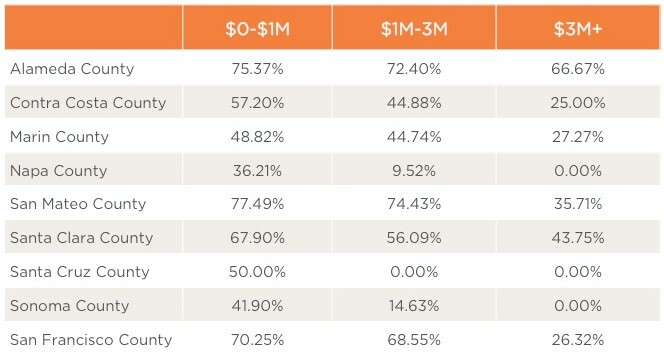 While the share of premium sales are in the mid-70 percent for the county, they are even higher in these five cities. 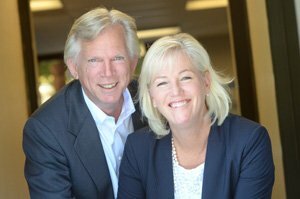 Piedmont, for example, has the most listings selling at a premium across all price ranges — above 85 percent. The other cities also have remarkable shares of homes selling at a premium. And despite some cooling market conditions, these trends seem to have remained constant from last year, even showing some increases over last July. The shares highlighted in red were higher this July than they were last July. What’s further interesting is that while the other Bay Area counties are experiencing notable drops in the average premium paid on a listing that sold over the list price, the aforementioned five Alameda County cities are still averaging double-digit premiums that are often higher than 20 percent, particularly for properties in the $1-to-$3 million price range. A recent Bloomberg article argued that San Francisco’s frenzied housing market has moved across the Bay Bridge to more affordable Oakland. This analysis shows that it’s not only homes in Oakland that are still selling well above the asking prices but also those in adjacent, expensive Piedmont and also in price ranges that could hardly be called affordable. So, what’s the takeaway? While we can argue that affordability and generally more inventory may be boosting Alameda County’s housing markets, it appears that despite the so-called frenzy, absorption rates have fallen by 10 percentage points from last July, second only to San Mateo County for the largest drop in Bay Area absorption rates. Thus, if absorption rates have fallen but so many homes are selling for sustained and remarkable premiums, it begs the question of what is causing this phenomenon. Anecdotally, it has been noted that homes are often listed below their current market value in order to create a frenzy among buyers to bid up their offers to the highest price the market can bear. Assuming a 20 percent premium on a $1 million home, and the buyer is paying an additional $200,000. This strategy may have worked in the heat of the last Bay Area housing boom, but with markets generally cooling and affordability seriously reaching a stretch, how much longer will it work? Also, does this strategy equally benefit buyers and sellers? For buyers who have been looking for a while and have already weathered multiple bidding wars, it may be frustrating and discouraging to remain in the market. And buyers who are new to the Bay Area and have not faced such situations before may be quite confused on how to approach the homebuying process. On the other hand, sellers who may have expected 20 percent or more premiums may start to face the harsh reality of getting less than they were expecting and walk away from the transaction disappointed. These are certainly things to consider as we enter fall and adjust to changing market trends.